About one-third of the global population, more than 2.3 billion people, is infected with latent tuberculosis. TB, which is one of the world’s deadliest diseases, can remain dormant for years without being detected. Robert Abramovitch, MSU Assistant Professor of Microbiology and Molecular Genetics, has genetically engineered a protein that glows green when tuberculosis enters its latent stage. Abramovitch's work is a triumph that promises to find a faster-acting cure for TB. When mycobacterium tuberculosis infects humans, the human immune system fends off the infection by encasing the infection in a granuloma, which doesn’t kill the bacteria but changes their physiology so that they can survive inside the granuloma. This is the reason that an infected patient seems total healthy even though they are in fact infected with latent TB. Oxygen plays an essential role in this process. When the oxygen level around the bacteria decreases, the bacteria sense that the environment has become hypoxic and substantially slow their growth. Once the bacteria senses that the environment favors growth, they will initiate a genetic pathway to lead to their active state of the disease, causing the disease to to progress. Since there is no natural signal given off by the bacteria indicating their physiological status, it is impossible to tell if the MTB are in the dormant or active state by just looking at infected cells in a test tube. To overcome this problem, Abramovitch engineered a protein that will glow green during TB's transition into the dormant state. This will enable researchers to detect when bacteria are becoming dormant. The next step is to explore pharmaceutical drugs that will prevent the bacteria from establishing this dormant state. By preventing the bacteria from establishing dormancy, the researcher may shorten the course of TB treatment. Normal TB treatment takes about 6 months with daily antibiotic usage. If a patient does not stringently take the daily dose, their body will begin to breed drug-resistant TB. Since the dormant bacteria are harder to kill, they are more likely to develop antibiotic resistant TB. Locating them and then preventing their establishment of the dormancy will shorten the course of TB treatment. Professor Abramovitch's work was funded in part by MSU AgBioResearch and the Melinda Gates Foundation Grand Challenges Explorations award. MSU AgBioResearch encourages scientific research talents to take a non-traditional approach to solve global health problems. With great scientific talents and excellent programs in place, the Michigan State University has attracted enormous funding from various organizations. In 2013, the university was awarded $131 million in NIH research funding and spent $380 million in research and innovations. A connection with this well-funded marketplace would be a great opportunity for lab supply companies to showcase their products and services and increase sales. 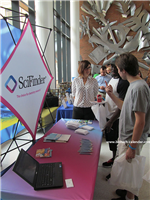 Biotechnology Calendar, Inc. provides this opportunity, helping lab supply companies network with the life science professionals located at Michigan State University. 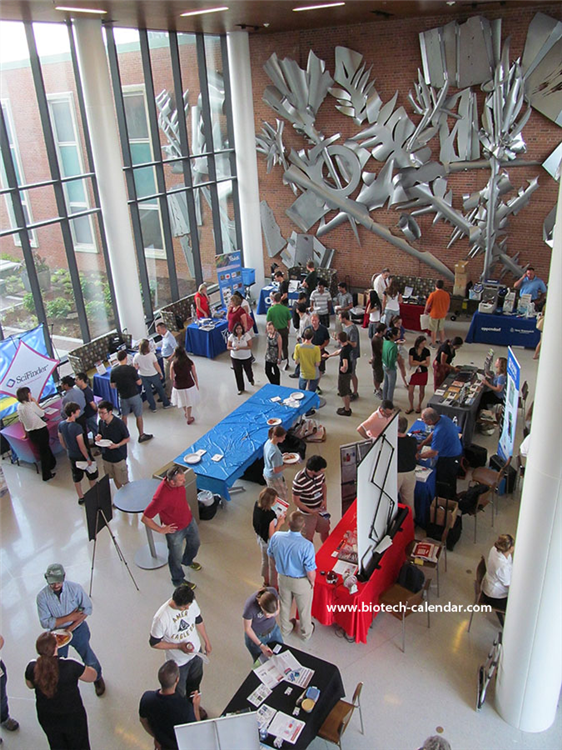 On July 23, 2014, Biotechnology Calendar, Inc. will be holding the 4th annual BioResearch Product Faire™ Event at Michigan State University. Last year, this event attracted 212 attendees. Of these attendees, 53 were purchasing agents, professors and post docs, and 28 were lab managers. These attendees came from 19 different research buildings and 30 on-campus departments. For more detail about the shows that are organized by Biotechnology Calendar, Inc. in 2014, please see National Show Schedule for 2014.